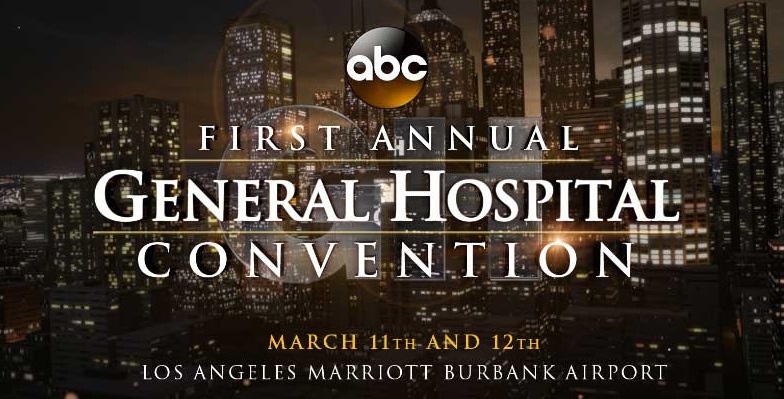 General Hospital has announced its first-ever official convention will take place over the weekend of March 11-12, 2017, at the Los Angeles Marriott Burbank Hotel Convention Center. Laura Wright (Carly) and Matt Cohen (Griffin) will serve as co-hosts, and a bevy of cast members have signed on to attend, including Rebecca Budig (Hayden), Leslie Charleson (Monica), Chad Duell (Michael), Michael Easton (Finn), Rebecca Herbst (Elizabeth), Roger Howarth (Franco), Wally Kurth (Ned), Michelle Stafford (Nina), Maura West (Ava), Dominic Zamprogna (Dante) and Jacklyn Zeman (Bobbie). “We have the greatest fans in the world and it’s our goal to get together with them in an all immersive, all General Hospital weekend of fun, sharing stories, laughter and celebration of the show we all love so much,” executive producer Frank Valentini reveals. Events include Q&A panels, meet and greets, games and contests. For full details and ticket information, visit creationent.com.